Compare Ratnakar bank business loan interest rates with other banks online. 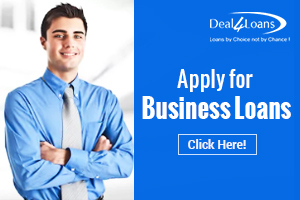 Check Documents, Eligibility, EMI, Loan amount, repayment options at deal4loans.com. Business Loans can be availed by self-employed individuals, self-employed professionals, sole proprietorships, partnership firms and private limited companies (including closely-held public limited companies), with a profitable business for the past 3 years. Applicant’s age should be minimum 23 years at the time of application and maximum 65 years at loan maturity. Minimum business turnover required is Rs. 1 Crore and for Professional / Service Sector, applicant’s gross receipts should be at least Rs. 60 Lakhs. Applicant must own either residence or office in his name or jointly with family members or resides in a residence owned by an immediate family member. What is the interest rate charged on BIL? Ratnakar bank offer eye-catching interest rates on the capability depending on loan amount, credit assessment and other limitations. Exact details would be provided by the sales officer. Available Products of Ratnakar Bank Ltd.
← How Cut in Repo Rates by RBI helps Loan Borrowers to Save Money?